NOTE: This content is old - Published: Friday, Aug 11th, 2017. An FOI has revealed the number of speeders caught by mobile camera vans in the Wrexham area, with the data giving the site locations and top speeds measured. We requested information from North Wales Police on the sites / street locations used for mobile speed camera vans across the Wrexham County Borough. We also asked how often they were deployed, and how many people had been caught speeding. The Rossett junction bridge appeared to be a popular site for a speed camera van going by volume of social media contact – with the figures released backing that up. 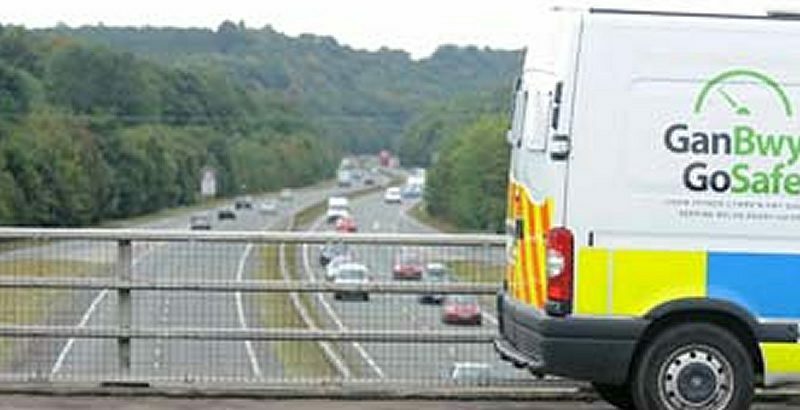 In 2016 the van was placed on the bridge 76 times, with 4518 notices of intended prosecutions issued as a result. The 2016 placement was up 55% from 2015, when it was situated there just 49 times – with 3,010 tickets issued. In the first five months of 2017 the van has appeared 41 times already with 2,134 tickets issued as of June 1st. The change in mobile camera placement between 2015 and 2016 saw the A525 in Coedpoeth have 44% less placements, with 2017 due to be a lower year again. The number of tickets issues at the same point was down by 55% in 2016 compared to 2015 figures. Overall in 2015 there were 10,581 people caught speeding, which increased to 11,065 in 2016. This year seems to be following a similar trend, with nearly 5,000 caught speeding by June 1st. There was 26% more visits of camera vans in 2016 compared to 2015, and again the half year data indicates 2017 will be a similar year to 2016. The full information is below on camera van siting statistics. This table is grouped into 2015 / 2016 and the first five months of 2017 data for each location visit / tickets issued. The siting of the camera van at the Rossett junction is perhaps explained by a second set of data we requested regarding speeds measured. We asked what was the highest speed recorded by a mobile speed camera, with the data provided historically per month. We also asked for the location that the speed was measured. Out of the 30 months covered below the Rossett junction clocked the highest speed 26 times. The highest speed recorded was 134 miles per hour, 91% over the speed limit, earlier this year.